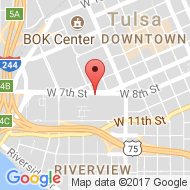 Tulsa Unemployment Lawyer | (918) 879-1681 | Wirth Law Office | Oklahoma Unemployment Attorney James M. Wirth, Esq. Have You Been Denied Your Unemployment? When you work for an employer, money is deducted from your pay check to cover unemployment insurance. So, when you are laid off or fired, you are entitled to unemployment benefits and compensation unless your employer can prove “misconduct.” Many times, though, employees will receive letters denying them benefits simply based on what the employer told them. If this happens to you, you need to contact a Tulsa, unemployment lawyer. Upon notice of denial of unemployment benefits, you only have ten (10) days to request an appeal, so you must act immediately to get a Tulsa lawyer on your side. You must file to appeal a denial of unemployment benefits within ten (10) days, or you lose your right to do so. Most initial appeals are conducted through a telephone hearing with a Hearing Officer acting the judge. The Hearing Officer will call the employee and their counsel, a representative for the employer, and all witnesses, and conference them all together. Witnesses testify and may be cross-examined, and evidence can be introduced. Any intended exhibits must be exchanged five (5) days prior to the hearing. The employee has the right to subpoena documents and things from the employer and other witnesses prior to the hearing, if properly and timely done. To deny an unemployment benefits when the employer ends the employment, the employer has the burden to prove employee misconduct by a preponderance of the evidence. However, in Oklahoma unemployment law, the word, “misconduct” has a specialized meaning. The Oklahoma Supreme Court has described it as more than simple carelessness or negligence. It requires a wilful or wanton disregard for the employer’s interests, wrongful intent, evil design, or recurring negligent conduct. It is not enough for the employer to show inefficiency, unsatisfactory conduct, or ordinary negligence. Do not let an employer deny you benefits for anything less than this standard; call the Unemployment Lawyers at the Wirth Law Office. Yes, in some cases. Oklahoma law allows unemployment benefits when the employee ended the employment, if there was good cause or a compelling family circumstance that justified the employee quitting. In these cases, it is the employee who has the burden of proof to establish the reason for leaving the employment. To know your rights and to contest a denial of unemployment benefits contact the Oklahoma unemployment attorneys at the Wirth Law Office. Tulsa, OK attorney, James M. Wirth, represents Oklahoma workers in getting the unemployment benefits to which they are entitled. 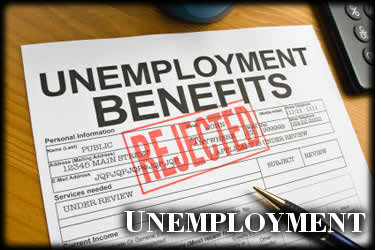 If you have been wrongfully denied unemployment benefits call Mr. Wirth at (918) 879-1681. 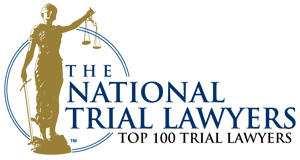 If you would like a free consultation with an Oklahoma attorney or Tulsa lawyer regarding appealing an unemployment decision, call the Wirth Law Office – Tulsa at (918) 879-1681 immediately. You only have a limited amount of time to appeal.